Covering Watford, Rickmansworth, Croxley Green, Northwood, Ruislip, Beaconsfield, Amersham, Bovingdon, Hemel Hempstead and all of the surrounding areas. We are a long established, local, second generation family business specialising in gas appliance installation, breakdown and servicing. 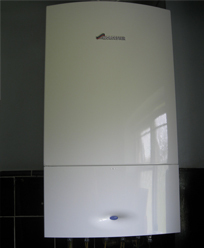 With many years of experience we are very familiar with all types of gas appliances from the very old to the more modern high efficiency condensing boilers. Not only do we specialise in all types of domestic gas boilers (see list of manufacturers below) but we also look after many customers with warm air too, such as Johnson and Starley. So if you are just after some friendly advice or if you would like to arrange an appointment with one of our qualified engineers then you can either email us, fill out our Contact Form or you can contact us directly from the telephone numbers provided.